For my birthday I asked my Dad for a Fujifilm Instax Mini 9 Instant Camera in Cobalt Blue, he laughed, told me that he remembers them the first time around and then said he would buy one. It’s literally the most exciting thing ever! 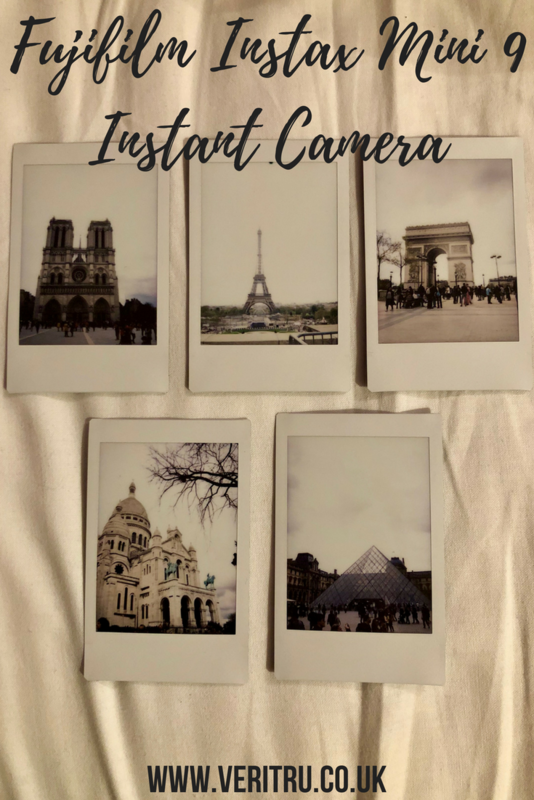 I got it just in time for my trip to Paris so I got to really test it out while I was away. Ok, so my blog title tells you my thoughts, but bare with me as I will do my best to critically evaluate the camera to the best of my First Class. degree ability! Or just stick around for the photos. 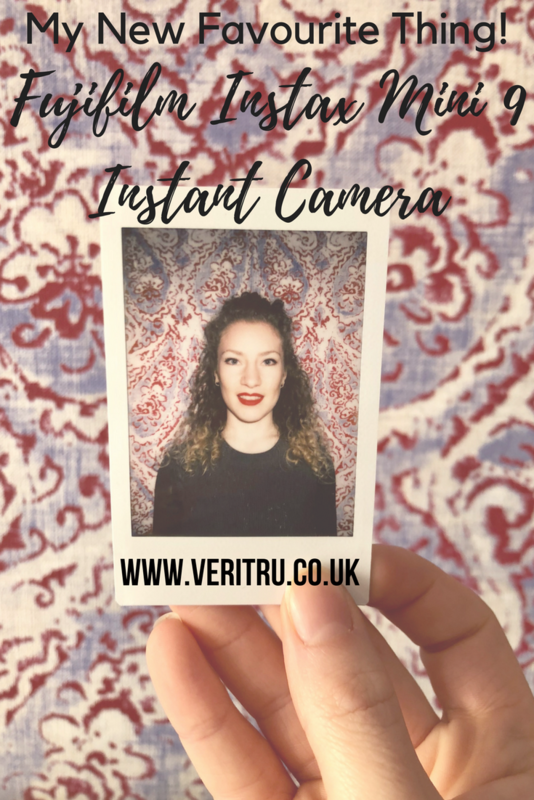 It is one of the cheapest instant cameras on the market. They range between £64.99 and £80 depending on where you buy it from and offers that are available at the time. That includes a pack of 10 photos. Visually the camera looks the retro part it’s trying to play. Despite being bulky, is quite lightweight. It quite simple and easy to use. You turn it on, select the setting it recommends (most of the time) and you click a button. The photos develop pretty quickly so if it’s not a great angle or one of you closed your eyes, you can know soon after you’ve taken the original and take another. It takes good close up photos, but did surprisingly well for location and landscape shots I’ve tested. I am pale skinned so flash is not my friend at the best of times; however, these photos close up don’t make me look too bad. It comes in some pretty cute colours. Cobalt Blue, Ice Blue, Lime Green, Flamingo Pink and White. You can buy some pretty cute little bags for it, like this one that I bought for myself. I obviously bought the Cobalt Blue one to match my camera, but it comes in lots of different colours. It stays quite true to the colour of what your photographing. For example, this crazy wallpaper in my hotel room in Paris was just as bright and popping as the photo. It doesn’t take the best quality photos. There are Instant cameras on the market that take better quality photos, but they are more expensive. You can get a printer for general photos, again these are better quality, but I feel this takes the fun out of it. Check this one out from Instax, the share SP-3 Printer. You can’t turn off the flash. In an age where everything is chargeable, this little cutie runs off 2 AA batteries. Be aware that the viewfinder and the lens do not match up, so if you are taking photos of things further away, even if you line it all up in the viewfinder it will navigate slightly left. Check out my Paris architecture shots to see what I mean. You are limited in terms of zoom so you do have to be close up to what you want to take a photo of, or see it really clearly. Anything in terms of focus or editing the photo in any way with the camera prior to taking it you cannot do, but again, I don’t feel like this is the point otherwise you would buy a proper camera. The film is quite expensive when you break it down per shot. I order mine from Amazon at £14.45 for 20, click here for the link. There’s no way of knowing how many instants are left inside the camera case and they recommend you don’t open the back to check as this exposes the film to the light which can damage it. I had instances while away where I lined everything up beautifully, clicked the button, it made the correct noises, but nothing came out the top. There’s a lot of plastic waste. Each pack of 10 comes in a box and cellophane. Overall, in case you haven’t noticed, I am really enjoying my camera. It is limited in regards to what it can do but I love the novelty of it and I have taken some pretty cool unique photos with it. To get the exact camera I got, click here to take you through to Amazon. I hope that you’re as excited over it as I am! I’ve spoken to numerous people since I bought mine, all of whom say that they don’t want to use it often as the film is so expensive. While I get this, I don’t see the point of owning it if I don’t use it! While we travel Jack and I collect artwork from local artists, so now I just technically get to make my own artwork as I travel instead. Give it another few years and my entire house will be covered in instant photos and Jack will hate me! BUT I DON’T CARE!